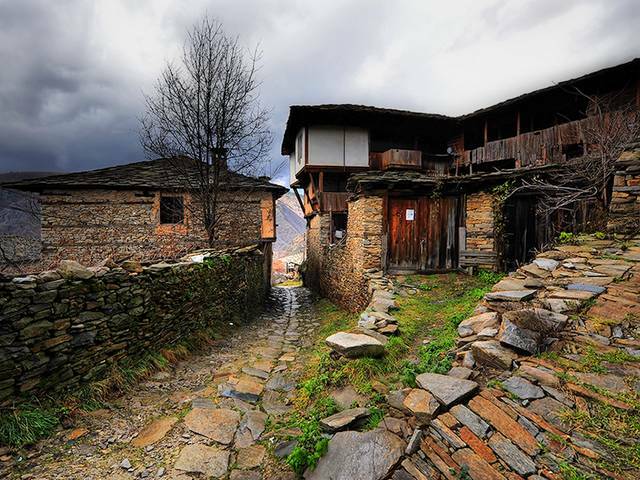 The village of Kovachevica is situated in the west Rhodopes, Bulgaria, hidden at 1000 metres above sea level. The village was established after 1656 when Bulgarian population in search of salvation during the attempts of conversion to Mohammedanism was settled in the more unreachable parts of the mountain. The village of Kovachevica was declared a historical and architectural reservation because of its typical stone houses with protruding upper floors, sewerage system that reaches 2.5 metres into the rocky terrain under the houses and narrow cobblestone streets.